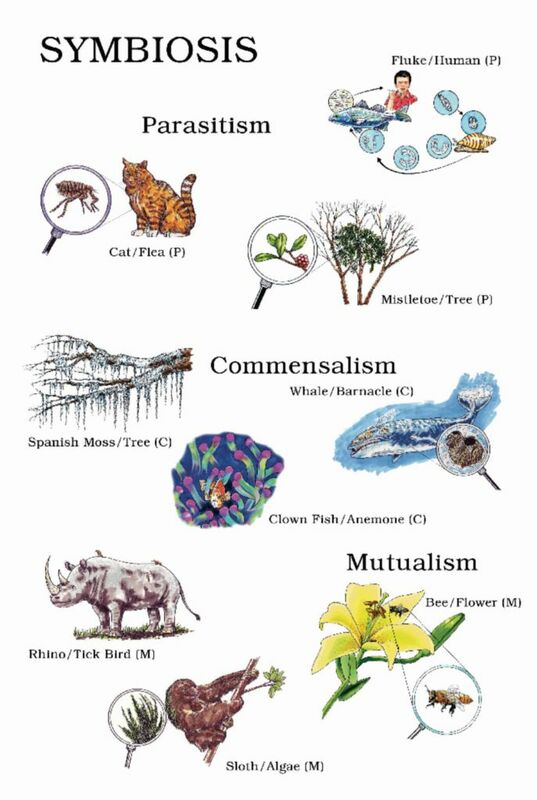 This colorful laminated poster shows examples of different symbiotic relationships between living organisms — parasitism, mutualism, and commensalism. 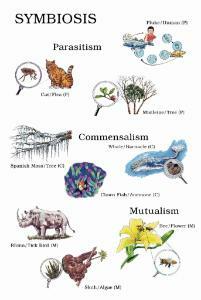 Relationships include plants, animals, fungi, and microorganisms. Includes reproducible worksheets. Developed by Steve Parker. Grades 6–10. Size: 24" x 36".